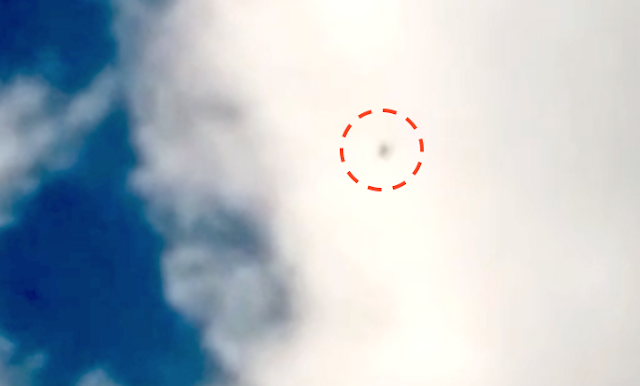 UFO SIGHTINGS DAILY: Black UFO Moving Slowly Over East London May 19 2016, Video, UFO Sighting News. Black UFO Moving Slowly Over East London May 19 2016, Video, UFO Sighting News. This UFO was seen over England last week and as it passes in front of a cloud the blackness of its color stands out. The UFO is turning slowly as it moves and this is why its shape changes every few seconds. London is a hotspot of UFO activity so this comes a no surprise.